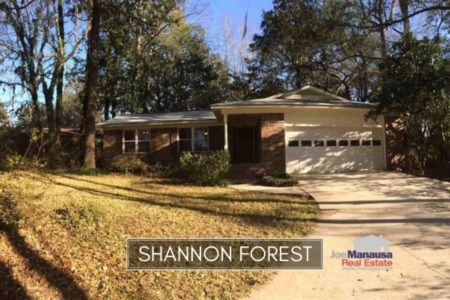 Shannon Forest is a popular Northeast Tallahassee neighborhood located along the Thomasville Road corridor. Though not the biggest neighborhood in the Tallahassee real estate market, it is definitely one of the hottest ones as 2016 was it's second-best year on record going back to 1991. The following list of homes are the most recent listings in Shannon Forest. Note: If no homes are on the market, all you will see is a map of Tallahassee. 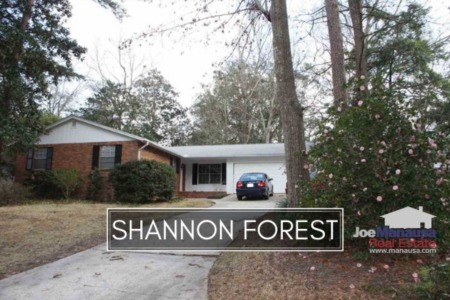 This information is updated every 15 minutes, so you can be sure that it is the most accurate view of the Shannon Forest market of homes for sale. 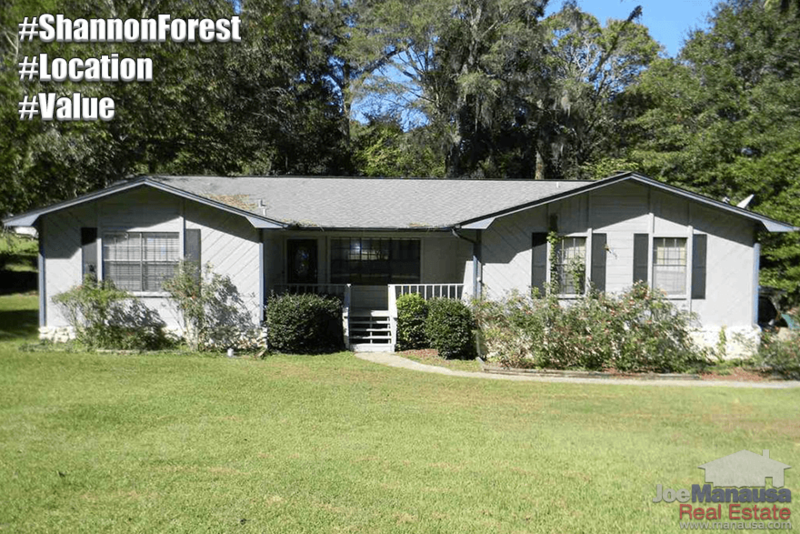 With highly coveted A-rated schools and a location that more than half of all Tallahassee homebuyers favor, you can bet that Shannon Forest will remain popular for a long, long time. In our past reports on home sales in Shannon Forest, we advised that the prices were extremely low and that they wouldn't last ... well, they haven't. Home prices in Shannon Forest have risen, but our advice still holds true. If you see something you like, grab it now because future home prices will be even higher. It is important to note that the narrative contained below is for sales through December for all previous years, but through the 24th of December in 2016. The graphs and the closed sales table will be continuously updated into the future (meaning bookmark this page if you always want to know the current status of homes in Shannon Forest). Average home prices soared in 2016, something we were prepared for after all the distressed property sales in recent years. The average home sales price was $202,900 for Shannon Forest through the writing of this report. There are still homes for sale below $200,000 (and incredibly this one for UNDER $100,000), but these opportunities will soon be long gone. There were 24 closed home sales in 2016, the second best year going back to 1991! Currently, there are four homes for sale with two already under contract. Average home values in Shannon Forest grew more than 8% in 2016, continuing a growth trend that began five years ago. I do not see this stopping any time soon. In 2016, the average value of a home sold in Shannon Forest was $105 per square foot. The average home size sold in Shannon Forest typically falls in a range of 1,800 to 2,000 square feet, and this year we have seen sales at the very top of this range. The average size of a home sold in Shannon Forest in 2016 was 1,955 square feet. I hope you enjoyed our January 2017 update on home sales in Shannon Forest, please feel free to drop me a note if you have questions not covered in this report.